What we learned at an old-school Parisian hair institute. You may have noticed that every hair-care brand has become obsessed with scalp care lately. I attribute the surge in scalp scrubs, tonics, brushes, and rituals to a backlash against a loooong obsession with dry shampoo and less-is-more washing advice in the era of the blowout. Don’t get me wrong, using dry shampoo and stretching out the lifespan of a blowout is still important, but if you take the advice too far, you can end up with scalp issues: buildup, irritation, even hair loss. Scalp care is a fundamental part of hair care. And if you ask certain heritage beauty brands, like the famous French brand René Furterer, they’ve been at the pulpit of this speech for years. More than 60 years, to be exact. When I went to visit the René Furterer Institut—the flagship salon of the brand—I found the entrance in the courtyard of a pretty building in France. It was romantic and intimate. Very, very French. But my arrival felt a lot more like a visit to a doctor’s office. I went into a private room and lounged back in a large leather chair as my consultant used a tiny camera to take pictures of my scalp. I’ve actually had similar treatments—shall we call it a photo shoot? 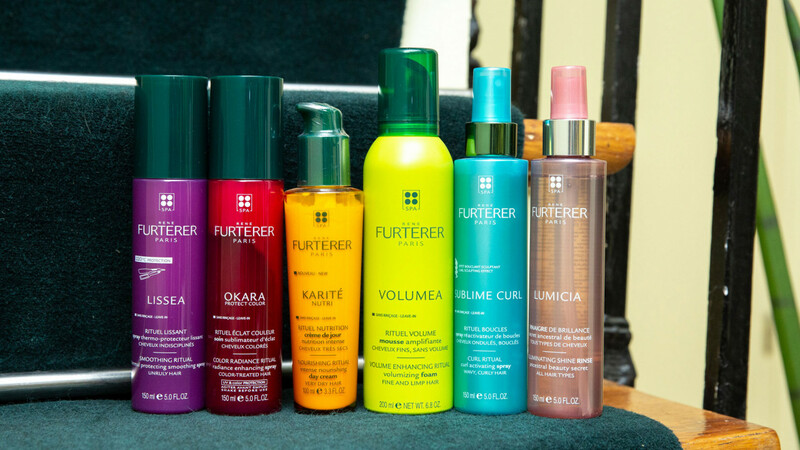 an examination?—at Japanese head spas in L.A. and Tokyo, and I’ve seen other new salon scalp analyses that have surely been modeled with some influence from René Furterer. But what set this experience apart was that clinical element: books and folders filled with intel about conditions and solutions. This institute is where French women go when their hair isn’t growing quite how they’d like it to, and they need answers. The good news was, I didn’t have a major scalp issue (yet) that would lead to hair thinning anytime soon. But the bad news was I straight-up do not shampoo enough. This isn’t surprising, I suppose. I have thick, curly hair, and I’ve been trained to fear shampoo, told that all it would do is dry out my poor curls. This may be true with overly harsh formulas, but the resulting product buildup on my scalp—according to a new Parisian hair therapist—could lead to irritation (the photos were already showing red scratch marks I didn’t realize I had) and eventually damage the follicles producing that thick, curly hair. How do we fix this? 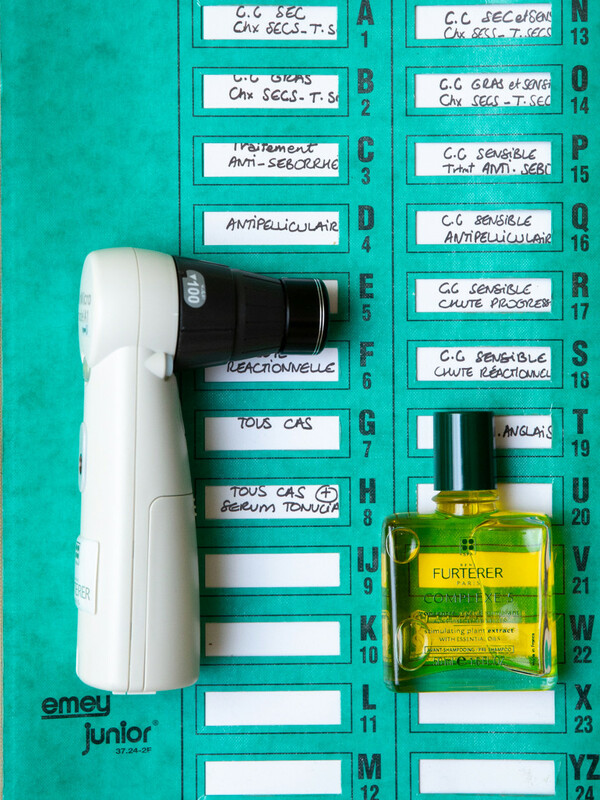 Not unlike the facial oil cleansers we see from Asia, the first step in the René Furterer cleansing routine uses their signature oil, Complexe 5 (which has been around since 1957), to massage the scalp, condition skin, and loosen buildup. Another bonus to a scalp massage: It can also relax the rest of your body. Like, a lot. After that, we shampooed with a therapeutic but sudsy formula—again, just like the facial double-cleansing we’ve all adopted in recent years. In my case, I was told to take home both the oil as well as a shampoo they only sell in France called Melaleuca (another formula called the René Furterer Curbicia Purifying Clay Shampoo is a good swap). A super deep hair mask followed—par for the course for curly hair. I’ll be honest, getting my head massaged and my hair washed for what was essentially 45 minutes is nothing but a joy. Of course. But I can also say it felt amazing to run my hand through my hair after it was dried, and my blowout lasted even longer than it usually does. In fact, it lasted about a week, which is probably (definitely) against my new René Furterer rules—I promised I would shampoo more often—but was a welcome benefit while I finished my trip to Paris. Hopefully, I looked a little bit more like a cool French girl all the while.